If you want to catch up on the previous 16 days of our short story Advent Calendar, then check out our blog archives and you’ll find all of them there. We were brought before Queen Annalia two days ago. I was not sure what to expect. Her reputation is that of being wise, strong and gentle yet at the same time so fearsome that even King Marlo is slightly afraid of her. When we entered the Great Hall she was seated on a throne at the far end of the room. Her daughter, Venetia was sat at her feet pouring over maps and battle reports. Behind Venetia stood two women, one with dark skin and jet black hair, the other with skin as pale as the moon and blonde hair that shone like spun gold even under the candlelight of the hall. Both were dressed in travelling armour, light shadcrag leather over thinly beaten meran, deep chestnut in colour with light woven cloaks hanging from their shoulders. The Lady Morrigan and the Lady Gekendra. From the way they were dressed they had arrived not long ago, but to look at them, their faces did not show it. All four women looked undisturbed by our presence there. Jashobeam led our party as we entered. Maharai and Helez, Tusala and Hisanda, Shammah and I, the seven members of the Eight. We knelt before the Queen and Shammah spoke to her. Lady Gekendra and Lady Morrigan seemed oblivious to our presence and Venetia was much more interested in the battle reports she held. Each member of the Eight was presented to Queen Annalia in turned, I was saved until last. Shammah said my name and there was a change in the atmosphere. Venetia put down the battle reports; Morrigan and Gekendra stopped their conversation and stared. I have never felt so much like a tapestry before in my life. It seemed to go on for hours, but was merely minutes. Morrigan and Gekendra returned to their conversation, their attention no longer fixated on me. Venetia however did not go back to her battle reports. Instead when Queen Annalia had finished speaking and officially naming us as the Eight, Venetia stood and asked if I would walk with her around the grounds. She was still wearing her sword and her battle armour. It was unusual for any to wear their full battle armour whilst away from the battlefield. She found it amusing that I was confused by it and explained that it was because she wanted to get stronger, and be able to move as though she was not wearing armour in battle. There is something spectacular about her, the way she thinks and moves, the way she is still very much a child but more adult than most four times her age. She challenged me to fight as we walked around the grounds, I agreed and that duel is now set for tomorrow…it was to be a small affair, the Swordmistress adjudicating the fight but since Shammah and Lady Morrigan found out about it, most of the city is now coming to the event. I partly think that Shammah wants to see me embarrassed in battle by the seven year old princess, but to lose to her in a duel would not be as embarrassing for me as he imagines. A fantasy book trilogy that was 16 years in the making. The trilogy follows Venetia, a queen amongst her people in the fantasy realm of Celadmore. Strange occurrences in her home world have Venetia searching for answers as to whether an old evil has returned or if a new threat has arisen. Joined by a number of unlikely allies, who do not all get along with one another, Venetia has to fight against not only the darkness threatening to destroy her home world but the treachery of politicians, the fear in those around her, assassins that want to take her throne from her and those that would go to any lengths to try and prevent another war. United they must stand for destruction is upon them. The realm of Celadmore faces it’s destruction as a war that none perceived is brought against them. Venetia, Queen of the Order of Anagura and Queteria, must forge a new alliance between the nations of Celadmore against the evil that Aksoth, Lord of Nether Roth, is set to unleash. The Allied Spirit of Celadmore must be raised and march once more. The end is here. Aksoth’s forces roam unchecked across the plains of Celadmore; the people of Celadmore have been forced to retreat to the fallen city of Grashindorph. Revolution stirs amongst the poorest of the people; Venetia seeks to restore Gruagadon to his rightful place on the throne of Nesca and will sacrifice anything to get him there. In this final bastion, they must find victory. 16 Days in and we hope that you are all enjoying the short stories from our Advent calendar. Today is another story from the Chronicles of Celadmore and the diary of Caslo Morgan. We left the comfort of the city of Anamoore seven days ago. Shammah was called to meet with the Lady Gekendra at midnight on 2650GL 28th Spregan. Helez came and woke me and told me to meet with the others down in the stables. Only Jashobeam was there when I arrived but it was not long until all but Helez and Shammah were with us. We waited for over an hour in the freezing cold night; our horses saddled, supplied and ready to head out of the city. When Shammah and Helez joined us not a word was spoken. Shammah simply nodded and mounted. The rest of us followed suit and were left the city without fanfare or ceremony. We rode to the coast, not the port and were met by Keldrak, Captain of the Queterian Navy and the most discreet and unbreakable man to ever grace the face of Celadmore. He was waiting with a skeleton crew and one of the small clippers that had recently been built and had yet to be named. We were taken onboard with our mounts and shown to our berths with orders to stay below deck until the Captain gave the order. I fell asleep for what seemed like days but was only a few hours. Keldrak came down to my cabin to visit me with news from the mainland and from the rest of the Queterian fleet. He couldn’t tell me where we were headed but merely sitting with a man I had known since I was knee high to a grasshopper was a great comfort after the last few weeks of uncertainty and no small amount of intrigue. He told me that four hours after dawn we would be able to come on deck and Shammah would explain what was happening. Sure enough, the call came four hours after dawn and we assembled upon the deck of the unnamed vessel to hear what our mission was. Lady Gekendra had received word from the mainland that her daughter, Gevana, and her son, Lucas, had both disappeared into the wilds to the south of Ziya known as the Chesil Void. One man had ventured after them without orders, but none had heard from any of them. The Eight had been called upon to find the three missing members of the Order and bring them home to Anamoore whether they were dead or alive. If they were dead, then vengeance was to be wrought on those that had killed them. It seemed to strange to think that any member of the royal family would be able to go off on such a treacherous journey alone, but Tusala informed me that the princess Gevana was a girl of extraordinary talent when it came to avoiding detection and strategy. Lucas was a promising young warrior, but as both were only 11, their disappearance was a worry. With just eleven days to go until Christmas, we’re taking you on yet another journey to Celadmore through the eyes of Caslo Morgan. When I stepped out into the duelling arena today, I had never felt more adrenaline coursing through my veins than I did at that moment. The roar of the men and women of the Order, Queen Annalia and the rest of the royal family in the city sat on a platform at the far end of the arena. Flags and music filling the air. Such an atmosphere is something I had never known before. I felt like a conquering hero returning home victorious from some legendary battle; that I was King Leinad, Lord Rathe, Lord Queteria and both Lord Allamontos all rolled into one. Venetia was stood at the far end of the arena already waiting. 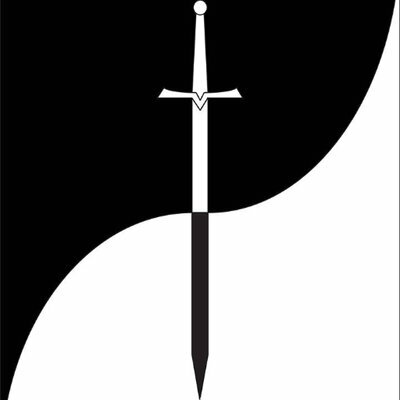 In her hand was her sword, the Clambria Yesma, a sword crafted for her that had carved a reputation for her in the last year as she had seen battle. A sword that no man could help but envy. My own blade, the Astana Drecsar, looks almost dull by comparison to it. Her heavy armour was missing for this fight, instead she wore the same travelling armour that I had first seen the Lady Morrigan and the Lady Gekendra in. I had nothing but the leather armour that I wore for moving around, worn and tatty in places, older than the young princess I was about to face. I could feel the eyes of Shammah burning into me from where he stood in the crowd. There wasn’t exactly hatred in his gaze but more a command to prove that I belonged as one of his men; that I was truly worthy of the mantle of the Eight. Swordmistress Talrana moved to stand in the centre of the arena and beckoned both myself and the princess to approach. She explained that this was a simple duel; that three strikes that connected with our opponent would secure us a victory, but no blood was to be drawn. I looked at Venetia who smiled back at me and nodded. Happy that we both understood, Talrana raised her sword and brought it crashing down to stand in the arena floor to signify the start of the duel. Venetia rushed at me before I had even registered we had begun. I managed to dodge sideways and watched the princess dart past and recover herself enough to aim backhand at my legs. I felt the blow connect and stumbled forward slightly. A roar arose from the crowd as Talrana acknowledged the hit. I knew Venetia would be quick to strike again, so I rolled as I stumbled to bring myself up to face the young princess. I managed to catch her off guard and strike her upon the shoulder before she could dodge the blow. The crowd roared more. I was vaguely aware of the clink of gold in purses as bets were taken and paid as the bout between the young princess and I continued. Venetia grimaced as she felt her shoulder spasm under the weight of the blade. Without thinking she switched her sword arm from right to left, so I did the same. She lunged again and missed, a feint to throw me off balance that would have worked on a less seasoned fighter. I parried her feint and knocked her backwards, her shock briefly registering before it was replaced by glee. Clearly it had been a long time since she had faced someone that she needed to apply herself to beat. It took three hours before we each received a second blow from the other and we both were near exhaustion. Her hands were shaking and my legs felt weak beneath me. I knew that our duel was coming to an end. Venetia was becoming more determined to win the longer the duel was drawn out. To see her so focused gave me hope that the woman that would succeed her mother on the throne was so fierce at such a young age. She came at me again, her blade moving quickly as she tried to drive strike after strike home, waiting for a crack in my defence, her eyes eagerly scanning for an opening. Her focus on my defence gave me an opening. With one swift, sweeping kick to the ankles, the young princess went flying backwards, my blade flowing to touch her in the centre of the chest. Talrana raised her blade from the ground to signal the end of the duel. The noise of the crowd that had been blocked out by concentration reached my ears once more. The people began to file away discussing what they had seen. I reached out my hand to pull Venetia back to her feet, which she accepted. We’re jumping back to Celadmore today with more from the diary of Caslo Morgan from the Chronicles of Celadmore. This is the third journal entry from his New Year diary (there’s no Christmas in Celadmore), the first journal entry was published in 7th Day of Advent and the 2nd on 10th Day of Advent if you want to catch up. We have been in the capital now for three days. The whole city seems awash with excitement at the presence of some many of the royal family at one time and the arrival of the legendary warriors of the Eight. When we made our way through the streets towards the castle, the streets were lined with people cheering and throwing flowers. Shammah led Maharai, Helez and Jashobeam with more pride and dignity than I thought possible. I rode behind them and tried to look as inconspicuous as possible…I wasn’t all together very successful. Being brought to the island by order of the Elders and being known as the man who saved the life of Prince Radow isn’t really the best way to avoid being the subject of gossip. That and news of my appointment to ride with the Eight seemed to have somehow managed to reach the city of Anamoore ahead of us. When we reached the castle there were two people waiting on the steps that I hadn’t seen before. Shammah clearly recognised them as he saluted and dismounted as he reached them. They were introduced to the rest of our party as Tusala and Hisanda. The two of them had been chosen by Shammah as the next to ride with the Eight and had been asked to meet him here to be inspected by Queen Annalia. Shammah had chosen them both as candidates to join long before Elika and Elhanan had fallen in battle. After their deaths he had contacted both of them and asked them to meet him at the castle. Tusala struck me as very young to be riding as one of the Eight, she is barely over the age of 14, but Shammah’s judgement has been impeccable in recognising those that are worthy of riding with the Eight. This was the first time that I had ever been to Castle Anamoore. The building itself was impressive beyond reckoning, the palace in Queteria and the palace of Ice and Light though beautiful and ornate were a complete contrast to Castle Anamoore. The whole castle was designed for battle, from the narrow streets that led up to it, to the heavy barred doors at every entrance. Lining the entrance hall to the castle were more royal guards than I have ever seen in my life. Each of them shone more brightly in their armour than the spires of the palace of the Ice and Light, it was almost blinding. Shammah, Tusala and Hisanda were called before Queen Annalia so the rest of us were shown into guest quarters to wait until we were called for. The princess Venetia was the one who led us through the maze of corridors in the castle. She was seven years old, a mere slip of a girl and yet she was shown more respect by the warriors that we passed than any other living member of the Order. She already wore her own blade, the Clambria Yesma; she had proven herself in battle beside those that now saluted her as she walked. She strode through her home with a stature that comes to warriors after years of forging reputations in the fires of war. She is the only member of the royal line that seems to be in residence besides Queen Annalia. Lady Morrigan is not in the city, neither is Lady Gekendra. The gossips in Queteria, though normally accurate in their information, seem to be misinformed on this occasion. It’s just over two weeks until Christmas now, and the advent calendar continues merrily on. Today we are back in the realm of Celadmore with the 2nd diary entry from Caslo Morgan. I was brought before the Elders this morning. They started by presenting me with all my faults and short comings that they had noted during my training. Three hours later the Eight were brought in. Shammah was still clearly taking the loss of his brother to heart, but his grief did nothing to diminish his stature as a warrior. His entrance into the council hall was enough to impress even Queen Annalia herself; silence enveloped the room as he stepped into it. Not a soul dared to breathe as he passed by, the effect of having a living legend before those that have only heard of the war is something that I cannot even begin to describe. Mordecai, one of the Elders, told me that the final part of my training was to ride as part of the Eight, that when the time came for my task to begin I would be called for. That riding as one of the Eight is my final test made me worried, for the first time since I arrived on the homeland, as to what my task actually would be. Not even the gossips that seem to know of every move that every soldier on the mainland makes know what it is I am being trained for. Shammah did not look impressed that I was to join his company. It is hard to describe the look of disgust that filled his face when I was presented to him as a new member of the Eight. Before now, the Elders have not been the ones to choose who rides as one of the Eight. It has always been the leader who has suggested warriors to the royal line and vice versa, the members being chosen by the consensus. The Elders have been scrambling for years to have more power, to even place themselves as equals to the royal line. Fortunately King Marlo is too strong a man to allow them to take too much and Queen Annalia could disband them upon a whim if she desired, but still the idea that they are slowly chipping away at the structure of our government makes them no better than Valians in my opinion. I have not been introduced to the other members of the Eight. Eleazar and Tulsana will not be riding with the Eight any longer either. Tulsana died this morning and went to join Elika and Elhanan in Halsanda. By Arala’s will, Eleazar lives and is growing stronger, but it will be many months before he is fit to fight again. I am to travel with Shammah, Maharai, Helez and Jashobeam to Castle Anamoore to meet with Queen Annalia to discuss who will be replacing those that have fallen. The gossips have reported that Lady Morrigan and all the young princesses of the Order will also be there. With the amount of supposedly secret and confidential information that is being openly discussed on the streets of Queteria, I wonder at how inept the spies of the other nations of Celadmore really are when they know nothing of our activities. Well it’s the 7th day of Advent, and our short story Advent calendar continues. For those of you that have been sharing and sending us messages about the stories, thank you, we’ve been passing on your comments to the authors, and we’ll continue to do so as we get them. For the 7th day of our short stories, we’re taking a trip to the realm of Celadmore. There are a few stories that we have to share from C.S. Woolley’s fantasy realm, but the first of them comes from the diary of Calso Morgan, one of the characters from the Shroud of Darkness Trilogy. As there is no Christmas in Celadmore, the short stories from Caslo are his journal entries from the start of the new year, written several years before the novel, Shroud of Darkness, takes place. The first day of the new year, filled with such hope and promise…hope that we will see an end to the troubles on the mainland and promise that I will not be cooped up on the island forever. It has been three years since I was called to Queteria to train for an unknown task. I was chosen for my swordsmanship, stealth abilities and horsemanship. My archery skills were called into question by the Elders upon my arrival in the city and I spent the first four months training solidly until they were convinced that I had improved by a satisfactory amount. The training was not something that irritated me, however the attitude of the old vultures was something that gnawed at me. No one has told me what it is that I was sent here to train for, nor what was required of me before I arrived – this was told to me only this morning as my time is apparently drawing to a close here. I was told I was expected to serve without question and die to defend my charges. I still am none-the-wiser as to whom my charges might be, but I was told I had to accept this responsibility or leave. Leaving did not seem to be a sensible course of action, so I accepted. There was a lot of commotion this morning as it is rumoured that the Eight have arrived on the island, or rather what remains of the Eight after they were ambushed by a force of two hundred from Hocuna. They lost two in the fighting, Elika and Elhanan are both said to have gone to Halsanda. I had never met either of them but their reputation spoke volumes for them both. Elika served as Queen Annalia’s personal bodyguard until she became Queen and was then asked to ride with the Eight. Elhanan was the brother of Shammah, the current leader of the Eight, the two having created tales of daring to rival that of the Anaguran Queens before they reached the age of testing. Shammah has led the Eight since the passing of Elisha, his mother, who led the Eight before him. Eleazar, the youngest member of the Eight and Tulsana, his older sister, are reported to be severely injured leaving only Maharai, Helez and Jashobeam besides Shammah who are able to ride. Considering the odds of thirty five to one, the losses are much in line with their fearsome reputation, given that none of Darnado’s men survived. I have also been told that Lady Gekendra, princess of the Order, has been dispatched as an envoy to Hocuna in response to the violence. There seems to be more gossip mongering here than warrior training. I am more than tempted to request a transfer to undertake my sword training next week in the city of Anamoore. There is much more study and less intrigue in the capital than here.